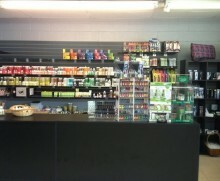 The original Wizard’s Vapor Bar & Smoke Shop is located on Fitzhugh Ave. in Dallas, TX. At Wizard’s you can find all of your vaping needs; from e-cigarettes and mods, to e-juice, tanks and batteries. Street Address: 3219 N. Fitzhugh Ave.